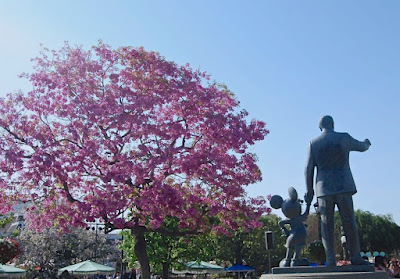 Spring is bringing with it more that just the amazing pink blossoms on the Tabebuia trees this year. Who's ready to hear what's in store over the next couple months at the Disneyland Resort? Don't do the map/prize and just search for the eggs for fun. That's what we did last year and it was a blast! It was also fun finding the eggs without the clues that the maps give you. 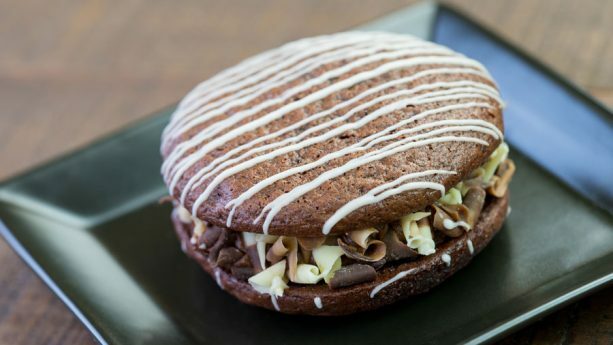 Its back and as delicious as ever! March 2 (although we heard there was a soft opening TODAY!) through April 12, stop by the booths in California Adventure for amazingbites like the Avocado and Pepper Jack Petite Guac Burger, Fried Artichoke Carbonara, or Salt and Beer Vinegar Parmesan Chicken Wings. Sounds so good! There will be seminars and kids activities for free and with no reservation required, in addition to the Celebrity Chef demonstrations, Brewmaster Beer Dinners, Celebrity Chef Dessert Tastings and many other offerings that do require reservation and come with a price tag. Check the official site here for more details. Get ready Pixar fans...once the Egg Hunt and the Food and Wine Festival have finished up, next event is Pixar Fest! 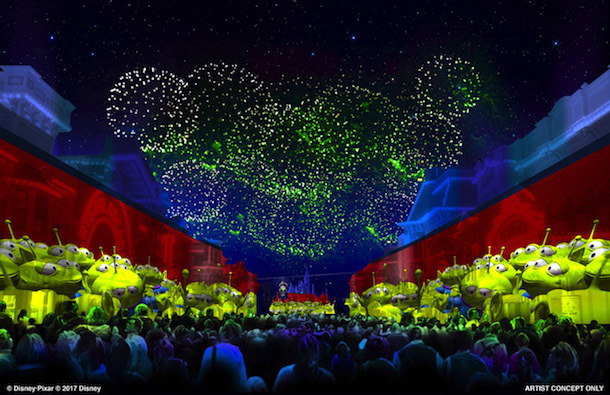 Starting April 13 and ending September 3, you'll be able to see the Pixar Play Parade (it used to be over in California Adventure and will now be running through Disneyland Park with a few new/updated floats), the brand new Pixar themed fireworks show called Together Forever, new character experiences, merchandise (of course! ), and other entertainment. For more Pixar fun, you'll have to wait until June 23 for the opening of Pixar Pier at California Adventure. When can we do this again? April 13! 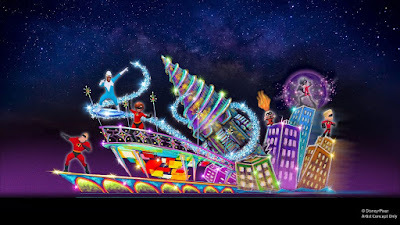 Alongside with Pixar Fest is the return of Paint the Night parade. 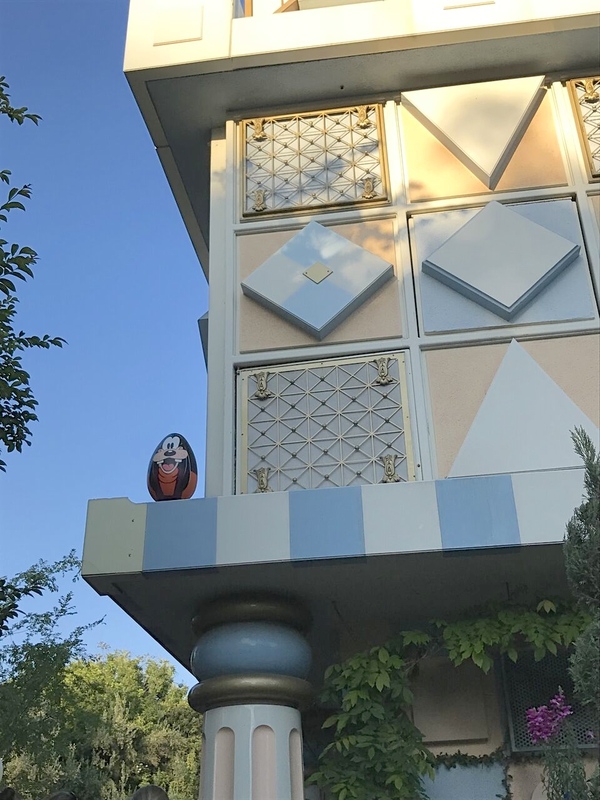 This time you'll be able to see it over in California Adventure with the addition of a new Incredibles themed float, or The Incredifloat as we like to call it. For anyone sad over the Cove Bar closure, this one's for you! 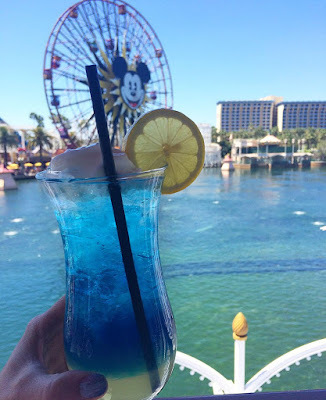 Our favorite home of the Fun Wheel and Lobster Nachos (nachos WILL be on the menu at the new Lamplight Lounge opening in June, we've been promised) will reopen for a LIMITED TIME: March 16 through the end of May. So get your visits in while you can!